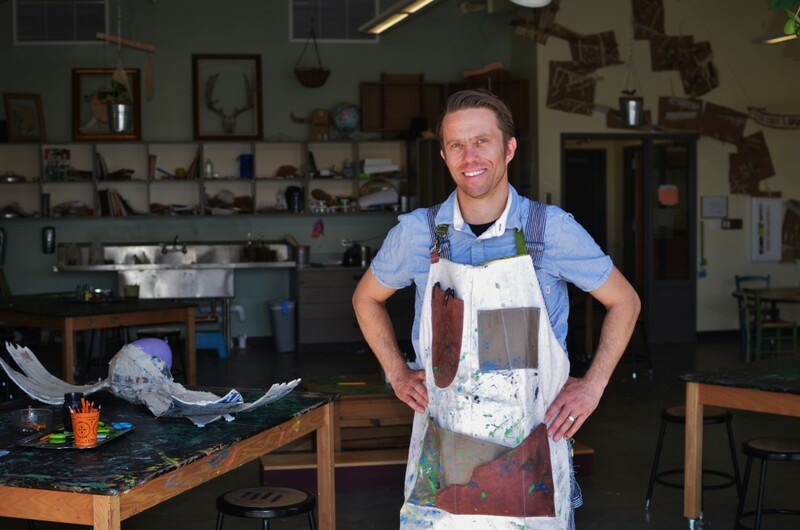 Call him a Renaissance man: teacher Reeves Macdonalds diverse interests range from environmental science to expeditionary learning to art. But traditional approaches to teaching and learning forced him to choose one focus for his career, so a science teacher he became. Id always wanted to be an art teacher and used art in my classes, Reeves said. For me, it is another way students can engage the world to find, understand and solve problems. Eventually, that narrow focus on science couldnt hold Reeves interest any longer, and he took a break from teaching. He kept in touch with like-minded educators, however, and heard about the new preschool-through-fifth-grade school that had been proposed to relieve overcrowding in southeast Denver. Later named J Shmaker School, the building and program were designed to integrate the schools natural surroundings into a focus on environmental education. Teachers use the outdoors to increase awareness and knowledge of environmental issues and problems. For Reeves, it sounded almost too good to be true. They wanted the building to have an environmental education focus, which means using the environment as a teaching tool, said Reeves. Access to the outdoors was really a pretty fantastic piece for teaching the arts. It is one thing to paint a snowy landscape and another to stand out in the field and paint the snowy landscape. Thanks to 2012 Denver bond and mill levy funds, the new building is a learning environment that artfully intertwines natural and built space. Named to honor environmentalist and Colorado legislator J Shmaker, the school includes 26 classrooms. In addition, four one-of-a-kind outdoor classrooms feature glass garage doors that open to let the outdoors in along with outdoor electricity, water and WiFi. Enriched by partnerships with SPREE, the Greenway Foundation and EarthForce, the school gives students and teachers the opportunity to paint a masterful education. When we work in beauty, we are motivated to do great things, said Reeves.